Chavez Socialist peasants left wallowing in a puddles of their own filth. 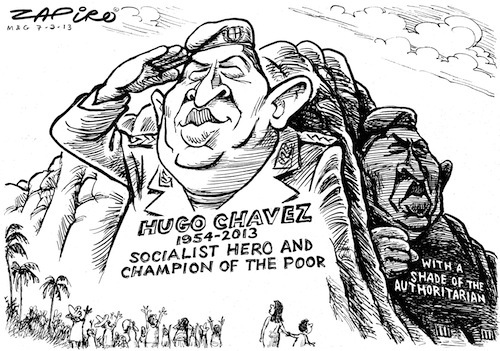 This is Great Legacy of Hugo Chavez … Socialism Sux Arse! Socialism always leads to this! According to some Migrant friends of mine, In Mugabe’s Zimbabwe, with hyperinflation it was/is cheaper to wipe your arse on their ‘ten dollar bills’ than on a square of dunny roll! That anyone can still believe in Socialism defies rationality! Only Vain Powertrippers and Morons support Socialism! “Venezuelans are used to going without staples like milk, coffee and butter, thanks to the country’s frequent food shortages. 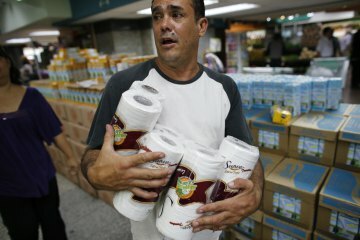 But now they’re dealing with a much more urgent crisis: a lack of toilet paper. Who needs beer when children are starving anyway? Venezuela’s largest privately-owned beer company has stopped producing beer after running out of malted barley (or, more specifically, running out of foreign currency with which to buy malted barley). The company, Empresas Polar, stopped production yesterday—it warned last week that it would run out of malted barley by then.